Here an artist who prides himself on his style and heritage and presents us with such a suave presence through music. The Boy Illinois has been consistently making strides in music with each project, and over the years, as fans, have been here to witness it. From releasing good previous projects, to hitting stages with Lupe Fiasco, Illi is showing us that he's one to mention amongst this school of Chicago rappers. 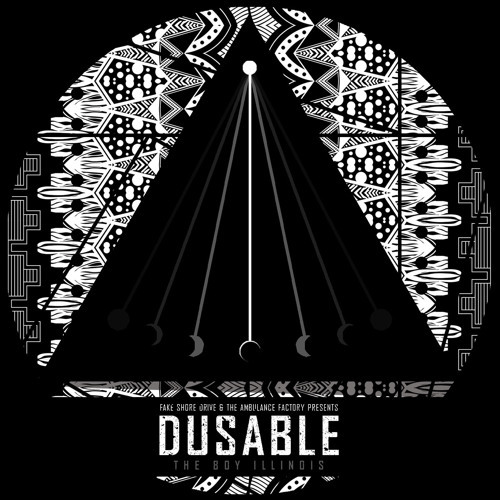 Today we get the project titled "Dusable", a name we're familiar with from the African American History Museum but also Pointe DuSable, a man dubbed "Founder of Chicago". Before the release of this album we were giving many visual and single release, "Back Down", "Sell Again", and "Blackmale", which some pretty good leading singles. DGainz presence is heavy across "Dusable", producing a number of track with other production from JMixx, JNice, COOP, Rel Elite and The 25th Hour. Listen below.